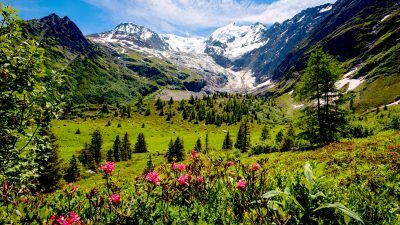 Our Switzerland walking holidays offer some iconic walks including different versions of the classic Tour du Mont Blanc, as well as hiking in the areas of Zermatt, Arolla and Engadin – from leisurely walks and overnights in comfortable hotels to strenuous hut-to-hut treks.. 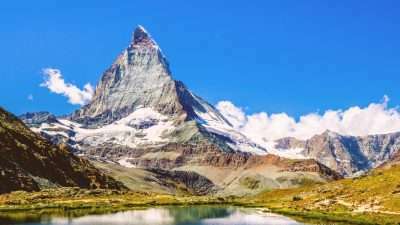 Considered one of the world’s most iconic trails, this is a demanding but non-technical trek which explores the best parts of the Alps between Arolla and Zermatt, filled with breathtaking Alpine scenery. You will spend the nights in comfortable private rooms and we will transfer your luggage between hotels on all walking days. 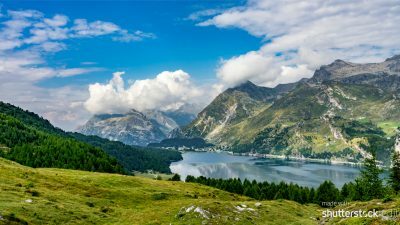 The High Valley of Engadine is called “the Pearl of the Alps” for a reason. It offers endless high-mountain sceneries with turquoise blue lakes, small valleys leading to sparkling glaciers and idyllic villages. This is a hike of an average level of difficulty and you can optionally shorten most stages using the excellent train and cable car network. 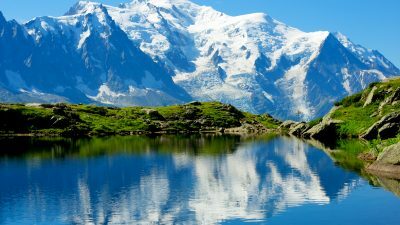 Our Tour du Mont Blanc Highlights in Comfort walking holiday will lead you from France to Italy and Switzerland, taking in the best sections of the Tour du Mont Blanc circuit while we transfer your main luggage. Overnights are in nice 3 or 4-star hotels and mountain lodges with private rooms on all nights. In the evenings, you will enjoy delicious French, Swiss and Italian meals. 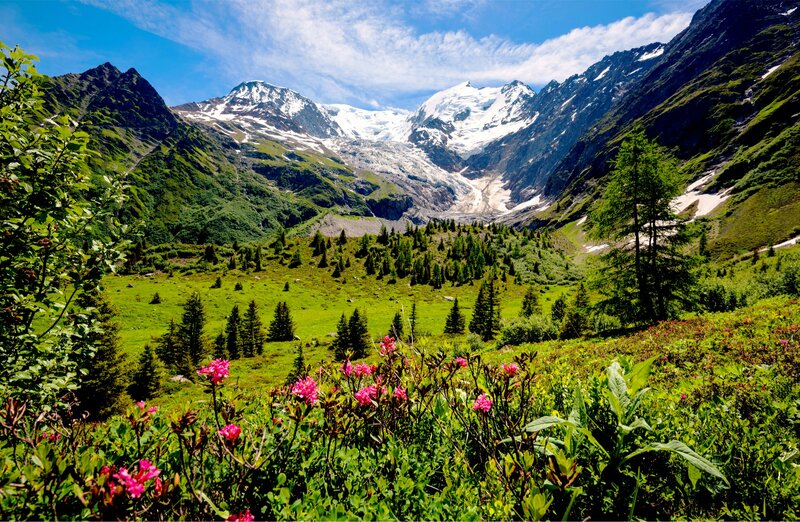 On the Tour du Mont Blanc Highlights itinerary you will walk in the standard counter-clockwise direction and use lifts and public transport to skip some parts of the complete trail so that you can take in the very best sections of the Tour du Mont Blanc within 6 days of walking. In the evenings, you will enjoy delicious meals and overnights in traditional mountain huts. 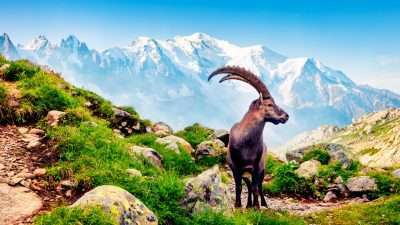 Walk the complete Tour du Mont Blanc through France, Italy and Switzerland, staying in mountain huts and hotels. The tour takes 12 days (10 walking days) to complete. 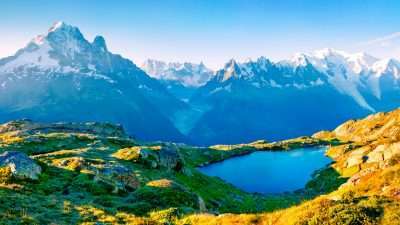 In the evenings, you will enjoy the camaraderie of fellow Mont Blanc hikers and take in simple but delicious meals and overnights in traditional mountain huts and small 2 and 3-star hotels.